We all have a color palette that works best with our complexion and hue. Light colors tend to go best for those with a fair & whiter skin tone. Toned colors tend to work best for the person with a soft over all look. Deep colors work best for a pigment-rich person. Bright colors work best for the person who has clear skin, bright eyes and silky hair, and of course we have to consider the person who may have warm, cool or neutral undertones. While it may not be apparent on the runway or in the pages of fashion magazines, the real reason that looks often stand out, or “pop” to us, is that the colors chosen for the models work really well with their tone and hue. Mass-market brands would do well to pay more attention to this, by marketing & packaging their clothes to specific “color personalities” who can then become unofficial “endorsers” of their brands. 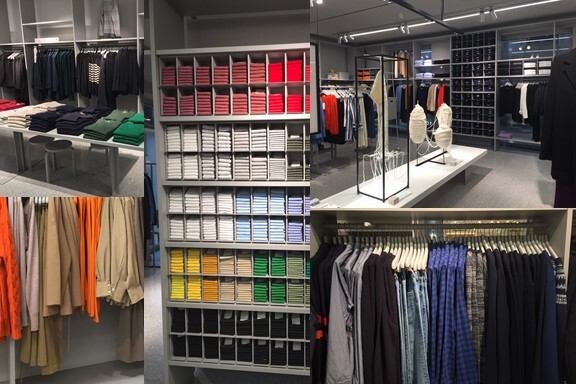 With an ever-increasing shift to online retail, brick-and-mortar stores would do well to follow ARKET’s lead in pairing function and style with colors and tone. We think this will increase the likelihood of customer delight while shopping, which is also likely to result in increased sales at the register.